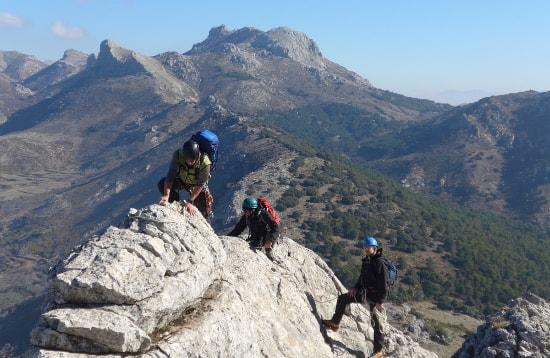 Andalucia province has a wealth of untapped scrambling potential. We shall show you some of the best there is. Many of the routes have been developed by ourselves over the years. 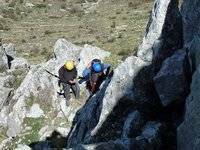 Route philosophy - we are looking for free movement on steep and rocky terrain, involving exposure and constant risk assessment of when/if to utilise a rope for security. 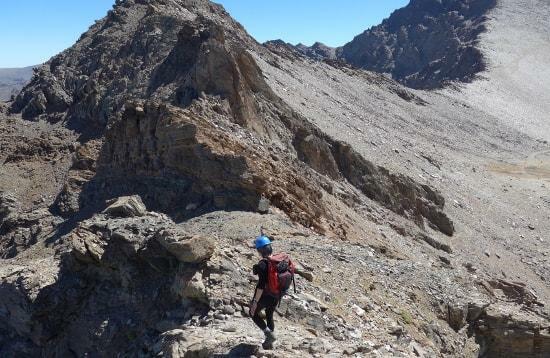 We can show you some of the best scrambles in the Sierra Nevada mountains including the five high mountain scrambles as detailed in Richard Hartley's Cicerone Guide to the Sierra Nevada. 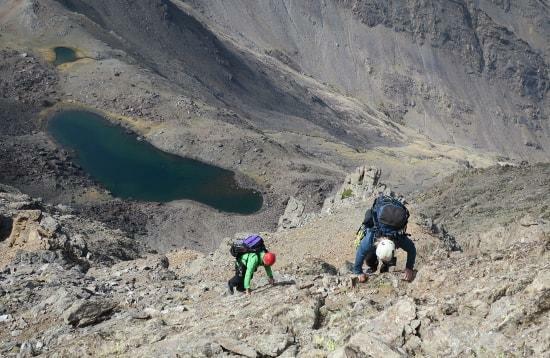 In all, three amazing high mountain adventures on ridges and two up buttresses. Grade 1 No specialist mountaineering skills. Technically easy. Done without a rope. Grade 2 More serious. Maybe need simple technical skills and rope. Grade 3 Like grade 2, with simple pitches of easy rock climbing. More technical ropework and protection required. 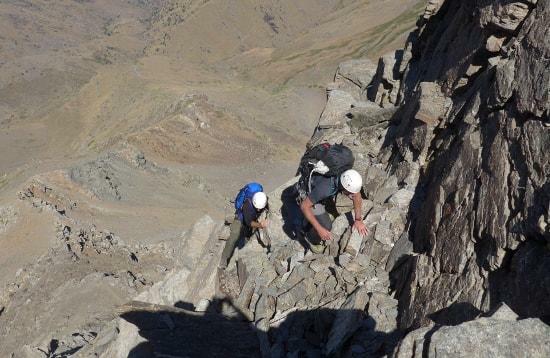 Guests should have a good head for heights and have good experience of hillwalking. Instruction will be given where necessary in the basic use of rope and gear for protection and safety. Had a great time in the Sierra Nevada and Sierra de Cogollos. All the scenery and landscapes are brilliant and definitely worth visiting with multiple scrambles and hikes to choose from. All three of us found it to be a great experience. Tajos de la Virgen ridge. Grade 1 with a couple of exposed sections. Long "alpine" type ridge with extensive views. We have harder options available on this route (June to Oct incl). 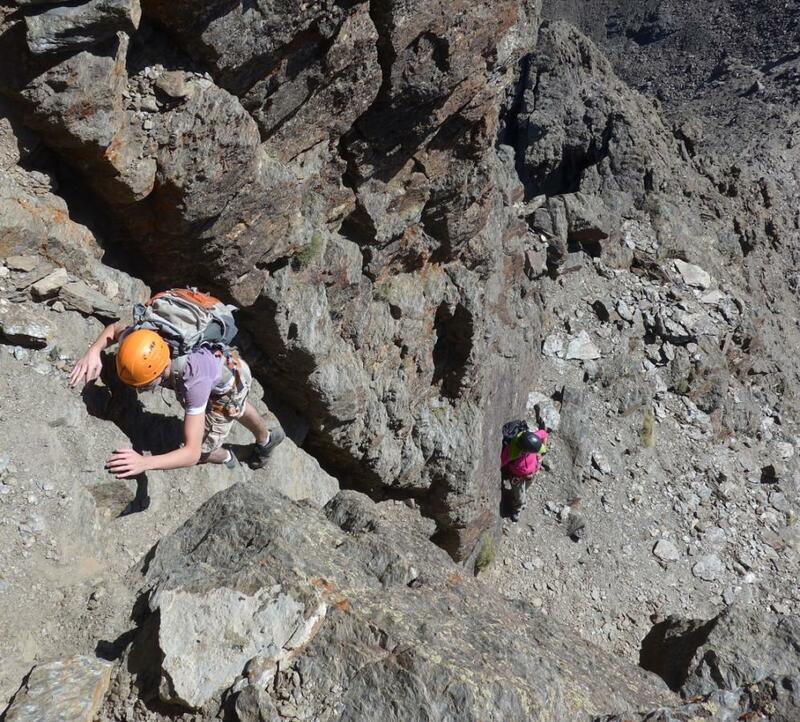 Ridge traverse from Los Machos to Veleta via Salon and Fidel Fierro - tough, exposed "Cuillin" like ridge followed by Diff rock climb to the summit of Veleta. 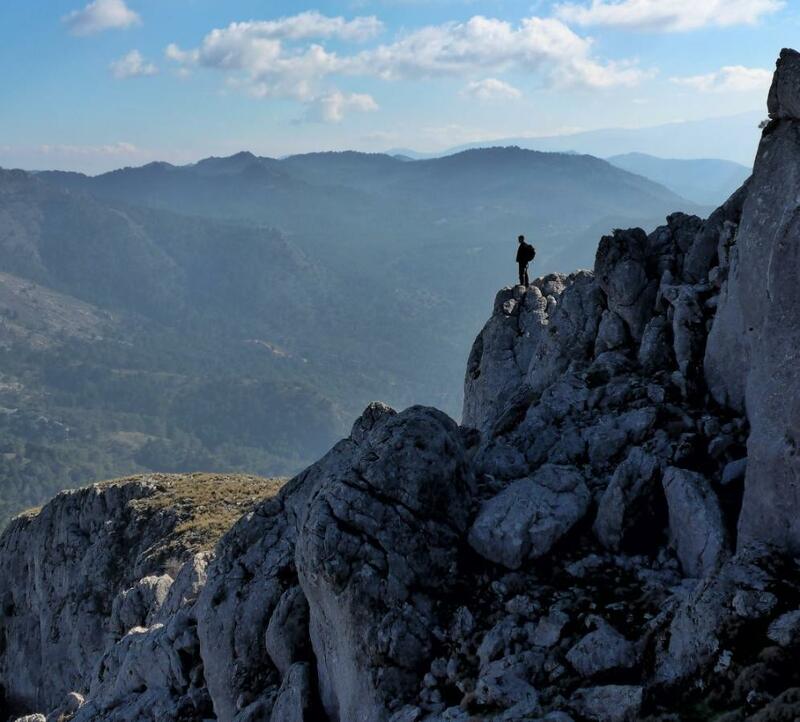 Penon de la Mata, Sierra de Huetor. 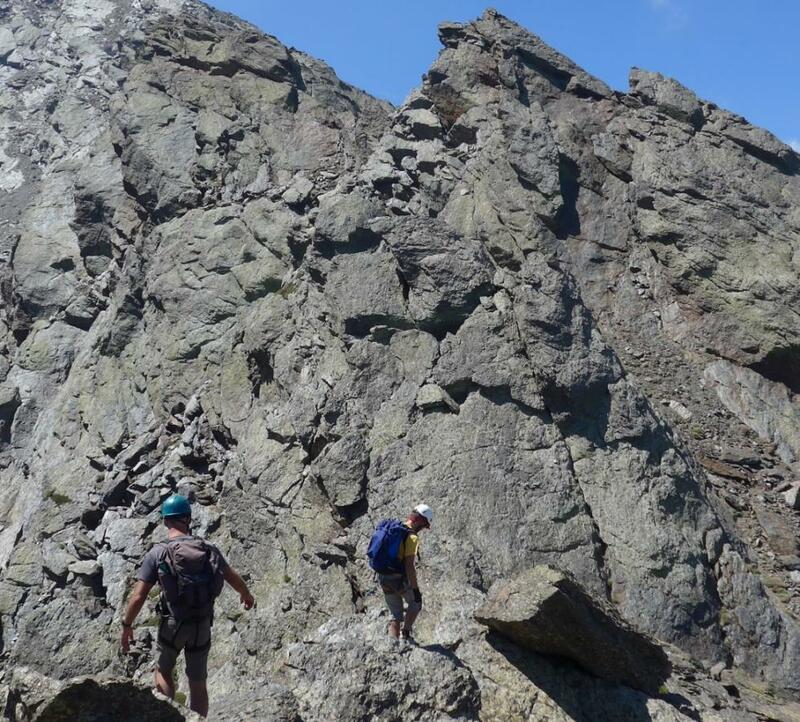 Since 2002 we have been instrumental in developing a series of rocky scrambles on perfect limestone in this overlooked area (Sept to June incl). Grades range from 1 to 3. Sierra Arana ridges. 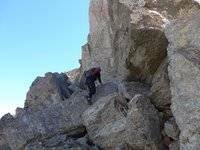 Long ridge route on Penon Grande (3S) or more relaxed opportunities on Penon Asno (1/2). Big thanks for a great couple of days in the hills. We really enjoyed it and learnt a lot. We'll no doubt be back in the area again some time soon.